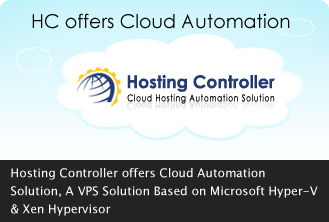 Hosting Controller Hosting Controller is based in Toronto, ON, Canada. It is a product of over ten years of software development to provide automation solutions for shared and enterprise hosting. HC offers provisioning and automation solutions for Microsoft Exchange 2016/2013 and 2010, BlackBerry, SharePoint, Dynamics CRM, Skype for Business (Lync) & Microsoft Hyper-V.
Advanced VOIP Advanced VoIP is a well-known global billing and switching vendor that offers core-to-edge solutions capable enough to cater billing needs for your business model. It provides scalable and cost effective billing and switching solutions that support the whole range of common VoIP business models. AdvOSS AdvOSS offers one of the most diversified range of telecommunication products from a single vendor. Its product range includes billing, switching and AAA solutions. These high-end solutions are designed with business model flexibility and are tested at various levels to ensure reliability and accuracy. Media Routes Media Routes is a "Full Freedom"TM hosted service that provides you with everything you need to start your own VoIP business and grow it as you wish. For a fixed monthly fee, you will get a package that includes all the hardware, software, bandwidth and all other things required to run a VoIP business. Advanced IMS Advanced IMS provides a wide range of AAA and NMS products for conventional IP networks and specially IMS. These products can be made part of any bigger solutions and are generic components based on 3GPP and 3GPP2 standards. All products come with open interface and clearly mentioned APIs for easy integration within existing setups. Host Automate Host Automate is one of the largest Microsoft Hosted Exchange 2010 & Hosted SharePoint service provider, transforming automation into profitability. We have extensive hosting expertise and a decade long focus on high-quality support. ASPFusion ASPFusion is a suite of ASP Components putting an end to shared hosting worries, for you by developing a suite of ASP components bundled with a Security Box and an Administrative Interface. These components accelerate the development of complete solutions for high-volume Shared Web and Application Hosting. Advanced CRM Advanced CRM is an ideal application for running a business that has customer based through web. If you haven't got the chance to evaluate Advanced CRM yet then you will find it as one of the most user-friendly and easy-to-use application providing most advanced and highly demanded features. We usually provide the seed funding ourselves to bring the concept to reality. When the value proposition is more visible, we find venture capitalists and angel investors. We have deep rooted existing contacts with these people and we are continuously improving them for future. For investors, we provide them the engine that will drive their RoIe. A good high tech idea already conceived into reality and a mature business plan on how to push that idea to realize its full potential in world markets.